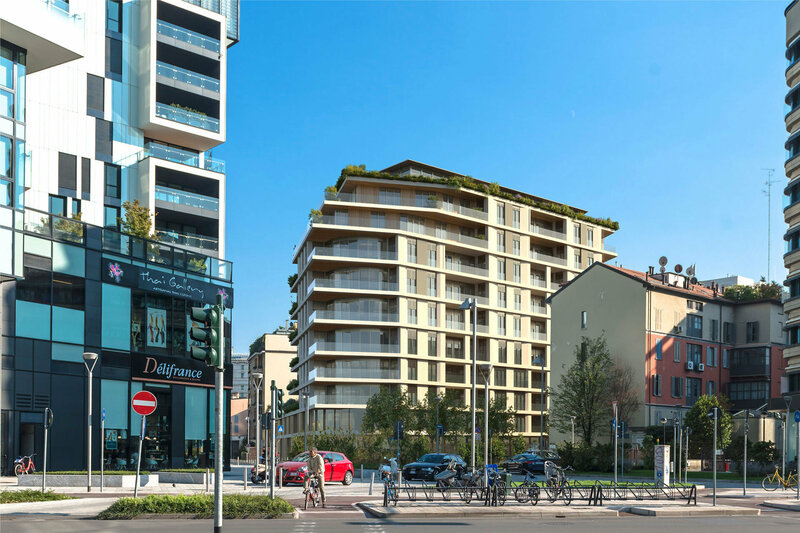 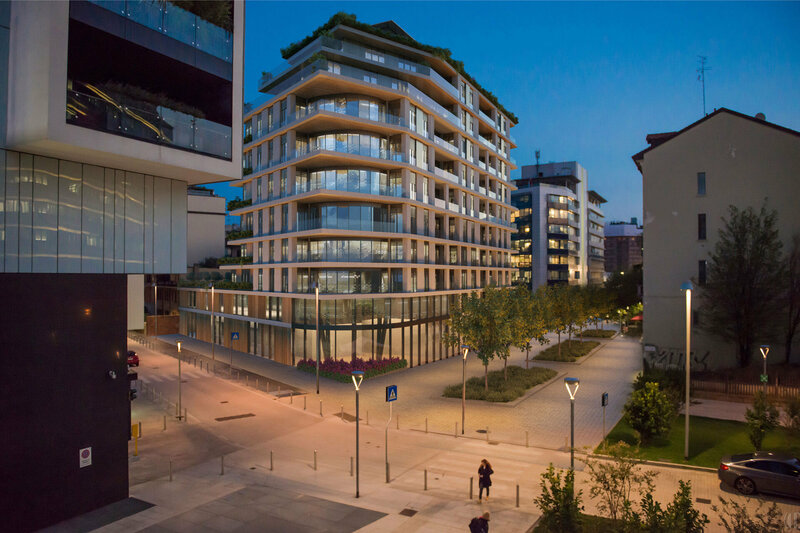 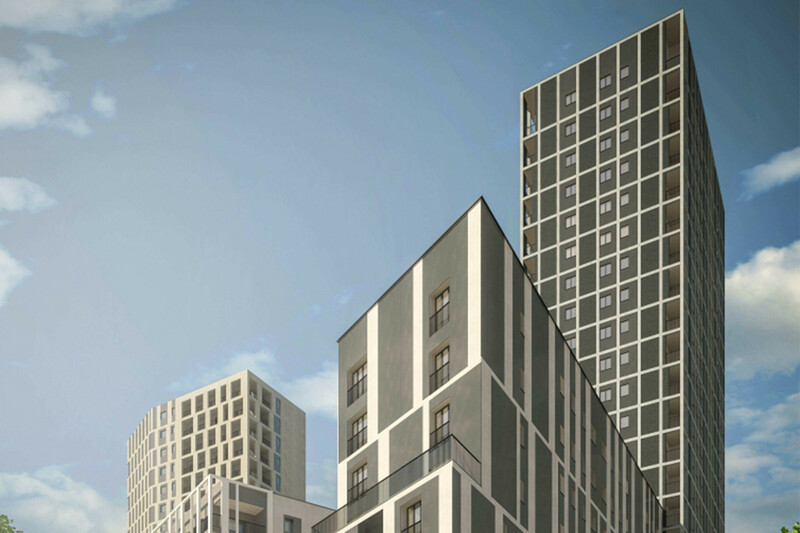 Marco Polo residence is being developed in the heart of Porta Nuova on an area facing Solaria towers at the intersection of via Marco Polo and via Joe Colombo with via Amerigo Vespucci. 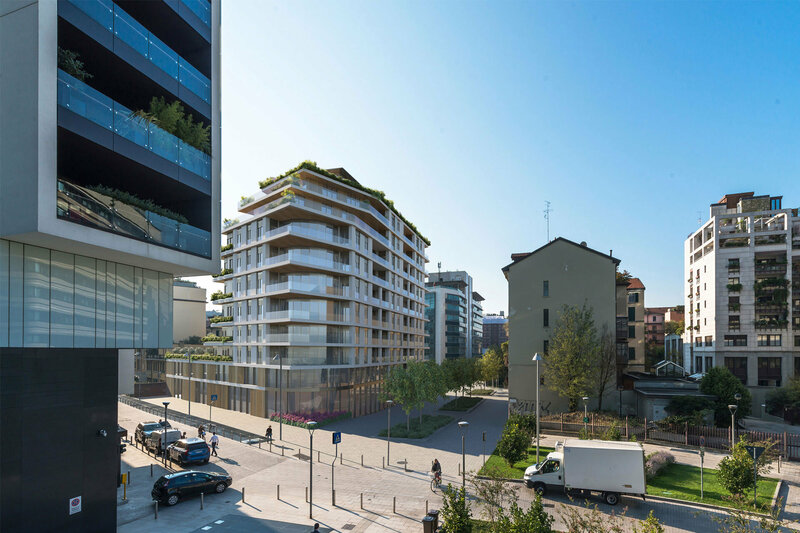 The new building, intended as a luxury residence, is ten floors high on via Amerigo Vespucci, and will be built adjoining the existing ones adding a lower block and forming a private courtyard with an exclusive interior garden. 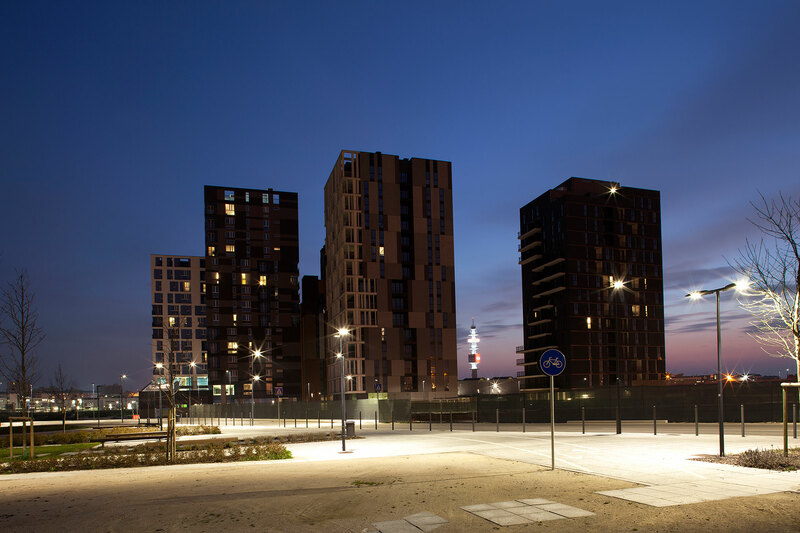 The project has a linear design that emphasises the horizontal perception of the building by means of string-courses that surround the perimeter of the building. 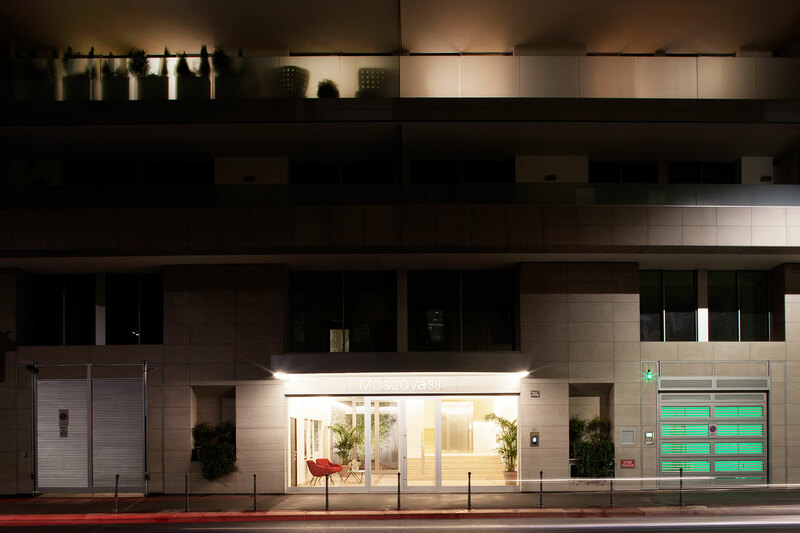 The ground level of the building is transparent having a spacious hall for private entrances and common areas while a fitness center with a swimming pool is located on via Joe Colombo. 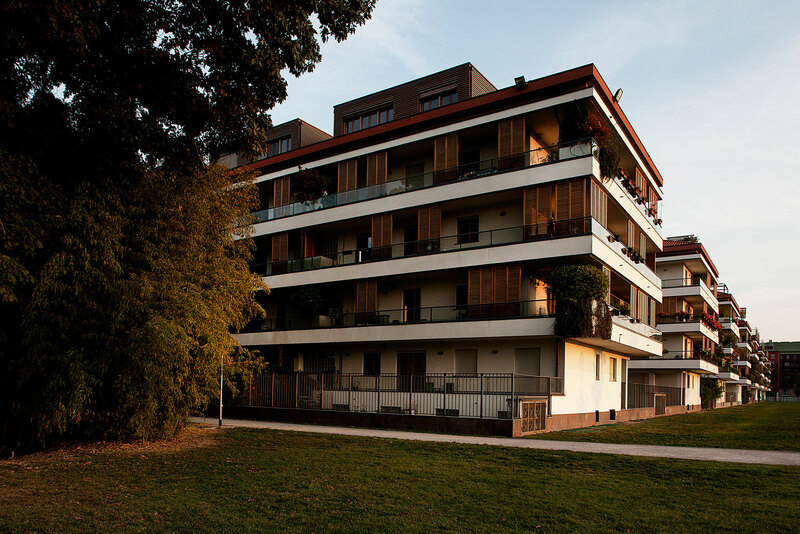 The complex also has three basement floors with cellars and 131 garages. 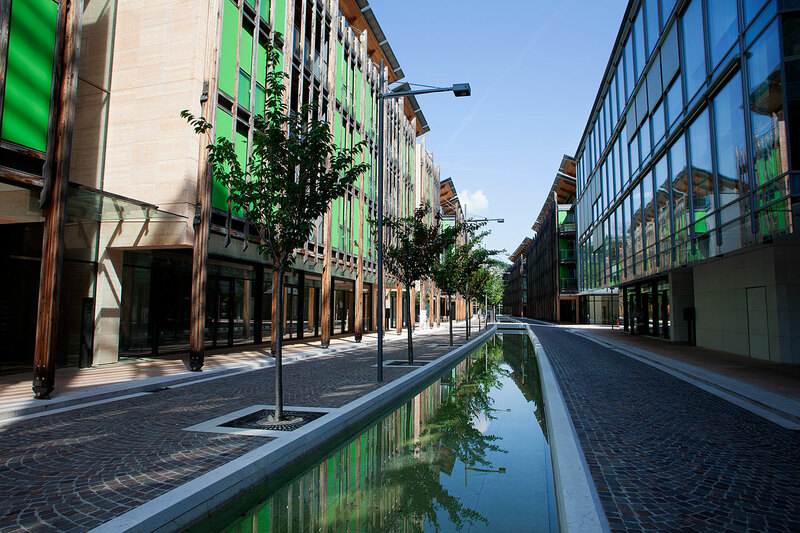 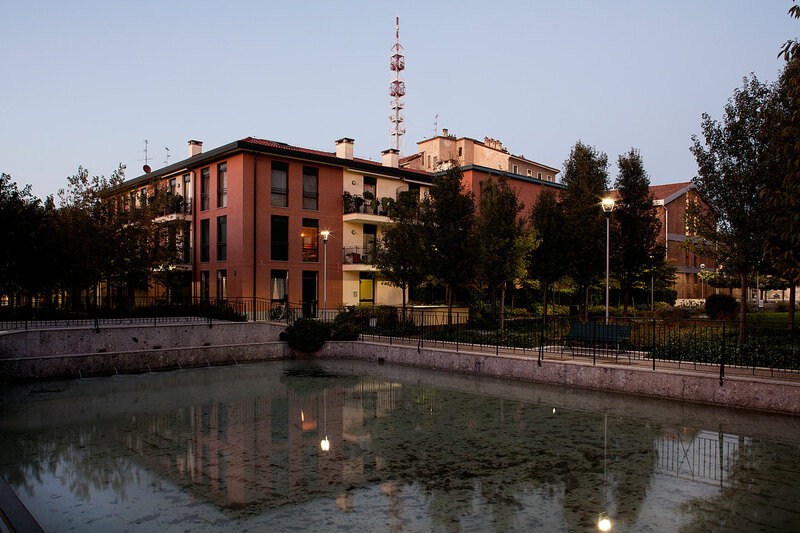 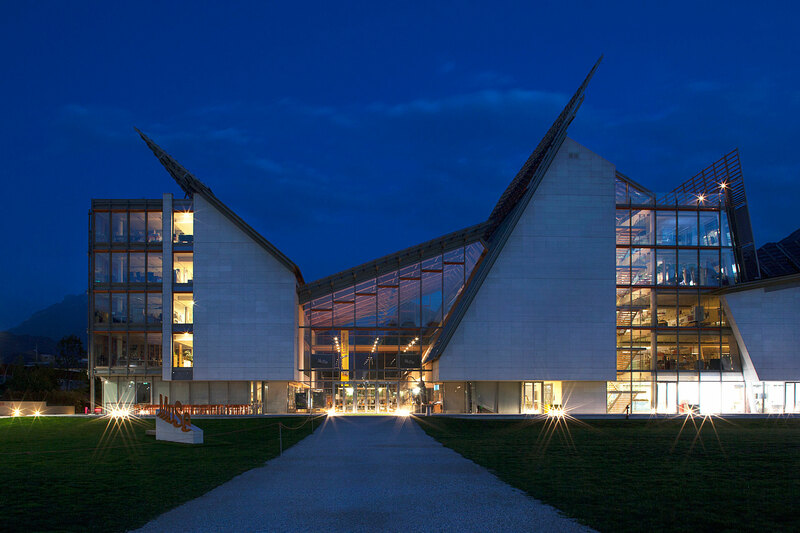 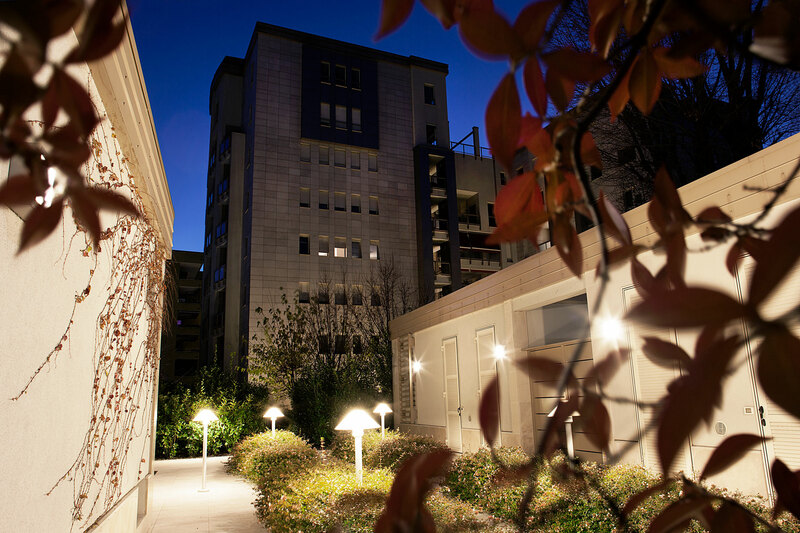 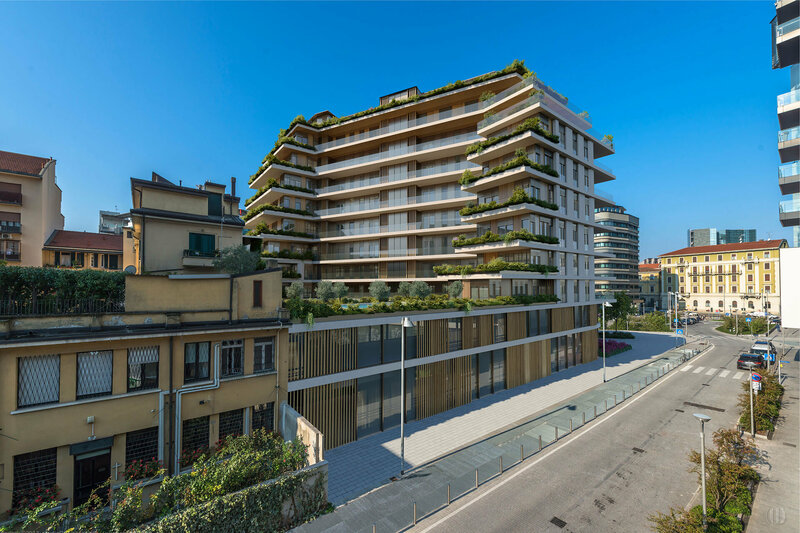 The building has been designed with a contemporary architectural style that emphasizes the brightness of the rooms through large terraces that give shape to the volume and represent the relationship between the city and the panoramic view of Porta Nuova. 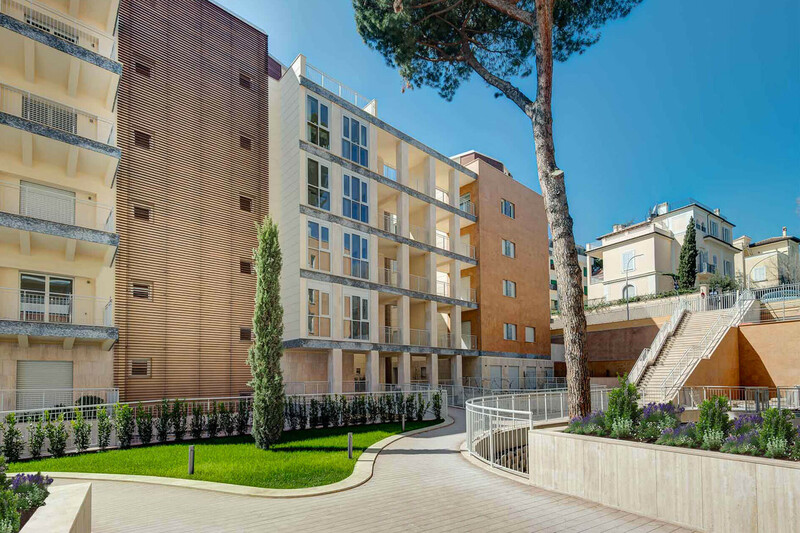 The entire complex is characterized by the transparency given by the large windows and the parapets, while the terraces on the top floor are enlivened by the flower pots integrated into the parapets. 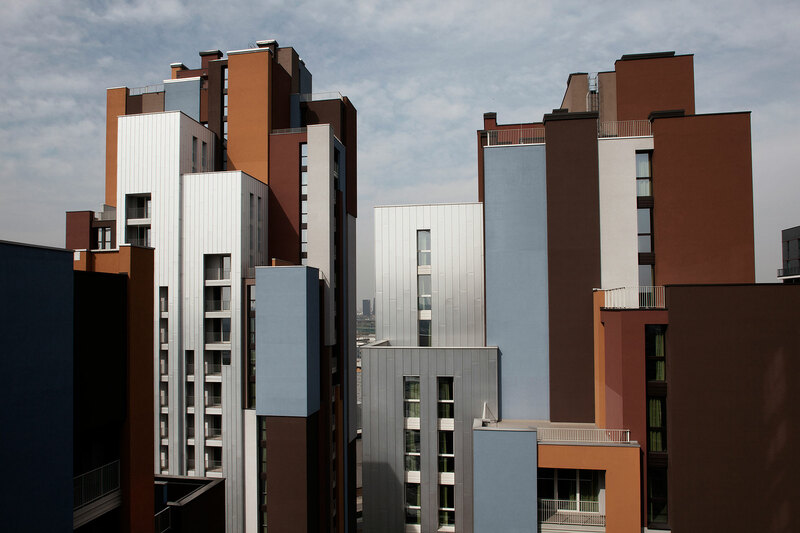 Special care was given to the short sides of the building highlighted by panoramic loggias that gradually drop away. 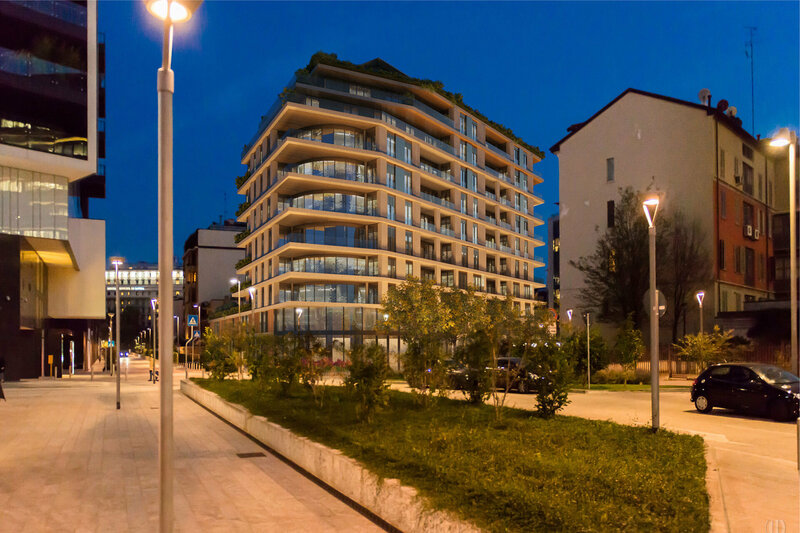 SCE Project has been involved in the developed, technical and construction structural design, in the coordination of architectural and MEP design and in the construction management. 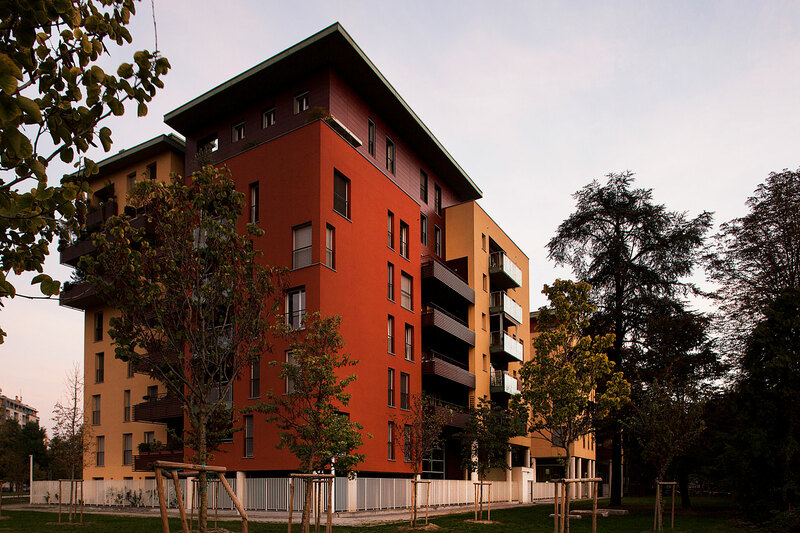 Services: Construction Management, Geotechnical Engineering, Project Management, Structural Engineering.